Once admitted to UMD, exchange students will request a DS-2019 Form using the International Student and Scholar Services office (ISSS) online portal, iTerp. The DS-2019 form is the immigration document required to apply for a J-1 Visa. $7,000 minimum for students studying at UMD for one semester only. A bank statement on bank letter head signed by a bank official with the applicant’s full name listed as the account holder (first and last name). If the bank statement is not in the matriculating student's name, a letter of support must be submitted and signed by a sponsor stating that the sponsor is accepting full financial responsibility for the applicant accompanied by a bank statement on bank letter head signed by a bank official with the sponsor’s full name listed as the account holder. A scholarship letter from the sponsoring organization listing the amount of the award and the student’s full name (first and last name). Bank statements or letters must be dated within 6 months of the date the application is submitted. You cannot submit statements from investment accounts or loan agencies. It must to be a regular checking or savings account from which applicants or sponsors can withdraw money at any time. Exchange students should apply for a J-1 visa. 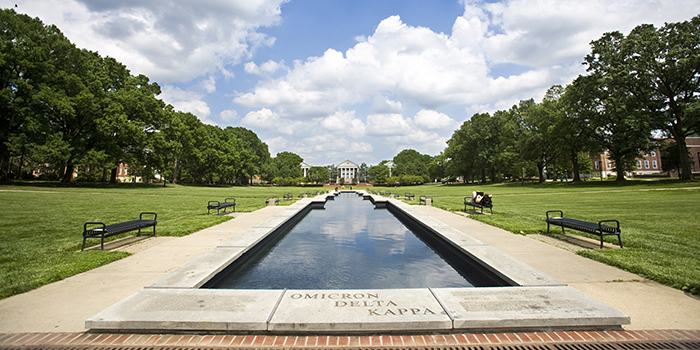 The J-1 visa is used for educational and cultural exchange programs at the University of Maryland. Students on J-1 visa typically come to the United States to study for a shorter period of time - one to two semesters. Exchange students should apply for a J-1 visa. When applying for the J-1 visa, you will be required to pay a SEVIS fee of $180. J-1 students are eligible for approved student employment for a total of 20 hours a week on-campus only. J-1 students interested in practical training in their field of study (major) may apply for Academic Training. Only classroom-based classes (not online classes) may count toward your full-time load. Courses taken for AUDIT do NOT generate credits (or graduate units) and CANNOT be used in calculating full-time status. You are required to have health insurance while you are in the US per your J-1 visa. All incoming exchange students will automatically be enrolled in the UMD Student Health Insurance Policy (SHIP). The UMD SHIP insurance meets the J-1 visa minimums for insurance. It is accepted at the Health Center on campus as well as by many providers in the US. All incoming students are required to complete an immunization form, which will be available once you are accepted. The form needs to be completed and turned into the UMD Health Center during orientation week. You have the option of getting required immunizations (mumps, measles, rubella and TB skin test) after you arrive at the Health Center or at local facilities for a fee.